By default, document sharing permissions are set to Trusted Sharing. The following steps will guide the district admins in changing these permissions to Limited Sharing, limiting the access of unauthorized users to such documents. 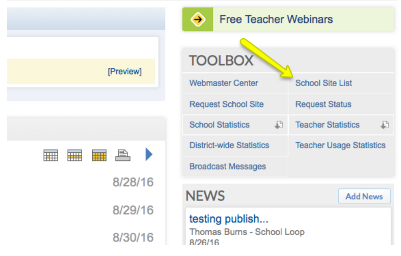 Click on School Site List from the Toolbox section. On the next screen, click on Edit School Settings. 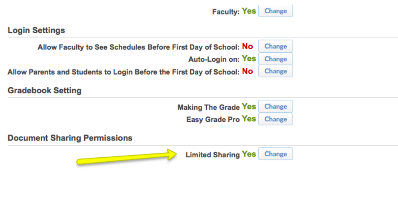 Set Document Sharing Permissions to Limited Sharing using the Change button. 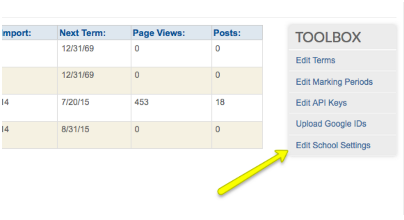 All shared documents are now accessible to authorized users only.